This article originally appeared in American Conservatism: An Encyclopedia (ISI Books). It is reprinted by permission of the publisher. Southern conservatism, as opposed to the generic American variety, is a doctrine rooted in memory, experience, and prescription rather than in goals or abstract principles. It is part of a nonnegotiable Southern identity with what it is prior to what it means. Not the consequence of dialectics or reasoning, it emerges from a historical continuum engendered by a recognizable people who have, over a long period of time, a specific set of experiences. Read the full article at The Abbeville Institute website. This entry was posted in Uncategorized on July 23, 2014 by Silence Dogood. SCV Camp 458 Meeting, August 2nd at 11am! Finally, we are back to our usual location for the upcoming SCV Camp 458 meeting in August. This coming meeting, Lt. Commander Jay Willis and I will be talking about how things went at the 2014 SCV Reunion in Charleston, South Carolina. Along with this, we will be discussing very important Camp business and will be showing a documentary called “Warriors of Honor”, which is about the Life and Faith of General Lee and Jackson. This is a very moving and informative film. There is a possibility that we might have a guest speaker at the meeting (if he’s available), if he can make it, we’ll wait to watch the movie another time. Just a reminder, if you have not purchased your September 20th, Pacific NW Division Convention and Ball tickets yet, please do so soon!!! We are nearing the deadline for being able to purchase tickets. If you cannot make it to the Convention, we are accepting donations as well. This is a big event, and our Camp is needing a lot more tickets to be sold, so that we can cover our costs. Let me know if you can make it, or want to donate. This entry was posted in Uncategorized on July 22, 2014 by scvpacnw. 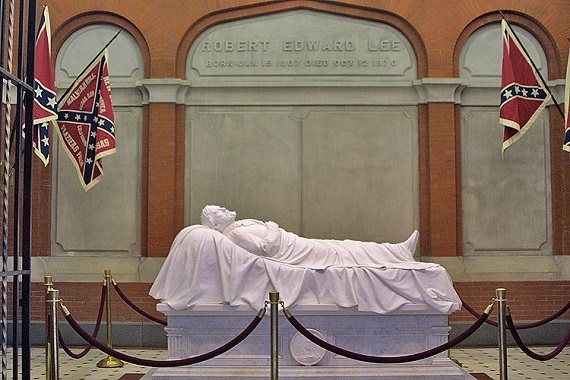 This entry was posted in Uncategorized and tagged Robert E. Lee, The War Between the States, Washington and Lee University on July 16, 2014 by Silence Dogood. Washington and Lee University to remove all Confederate Flags from Lee Chapel, burial place of Gen. Robert E. Lee. This entry was posted in Uncategorized on July 11, 2014 by scvpacnw. SCV Camp 458 Picnic and Meeting. July 13th at 1pm! I would like to invite you to join us this Sunday, July 13th, for a for a Camp 458 Picnic! Lt. 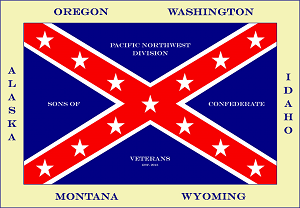 Commander Jay Willis, has graciously offered to host the Picnic at his house in Battle Ground, Washington. Jay has a nice size property and a good size farm house. The House has a very large porch that we can use and if anyone gets overheated, they can go inside, where its air conditioned. We are having two events in one! The Picnic to start, and the July Camp 458 meeting afterwards. The Picnic starts at 1pm and the Camp meeting will be at 3pm. There is a lot of important Camp business we have to go over, so make sure to stay for the meeting! Camp 458 is providing the Hamburgers and Hotdogs. My brother Karl has volunteered to cook the Burgers for us. He will be making his signature “D48” Burgers, from his restaurant, “Stock and Barrel”. These are amazingly fantastic Burgers! We ask that everyone bring a Side Dish or Dessert, and additional main courses are always welcome (Fried Chicken is always nice)! Bring your own drinks, plates and silverware. We also recommend that you bring your own chairs (outdoor type). We need someone to bring an additional gas grill, so that we can cook more efficiently. Please RSVP with me beforehand, so we know how many are coming and how many Burgers and Hotdogs we need. We will be within a couple miles of Jefferson Davis Park. If anyone is interested in visiting the Park, we can convoy over to it. See ya’ll there! This entry was posted in Uncategorized on July 8, 2014 by scvpacnw. Compatriot George Cool of Paisley, OR, has been thinking of an idea to create a SCV Cadet Program, called Jr. Camps. I think this is a very good idea, one that we all need to work hard to get going. Our organization is mostly filled with members who are in their 60’s or older, and unfortunately, we are not doing so well with getting younger members to join. If we can get our Cadet members involved with something that they can enjoy on a monthly basis, I truly think that our organization will see a strong boost in membership. Compatriot Cool along with Division Chaplain Father John Sigmon, are currently working on getting a Camp started in Lakeview, Oregon. They have an organizational meeting set for August 16th, 2014 in Lakeview. One of their biggest goals is to get the young members more active and involved in our Heritage. The following is the proposed idea that Compatriot Cool has come up with. He has my full support with this idea. our society. In schools all across the country our Confederate heritage is dishonored and our children are lied to about the deeds and motivations of our Confederate ancestors. In the SCV, it is of the utmost importance that the Charge be handed down from father to son. The true principles, ideals and history of the confederate soldier must be taught to the youth. This is essential for the continuing development of the SCV in which we devote ourselves. Therefore, I suggest the creation of a Confederate youth program for our Cadets. Remember, whoever influences the youth, influences the future! Goals of the Confederate youth program will be to teach our Cadets Confederate history, self-confidence, ethics and leadership skills. The Confederate youth program will be organized into Jr. camps under SCV adult leaders, and the general membership. Jr camps will be placed under already existing SCV camps. General membership of the Confederate youth will be comprised of SCV Cadets. The youth program will also be an important stepping stone to future membership of the SCV. Jr camps should have monthly meetings at which Confederate history, outdoor activities and other programs will be taught by adult leaders. Divisional leaders should organize annual rallies and outdoor exercises in which several dozen Confederate youth Jr camps can participate. This entry was posted in Uncategorized on July 5, 2014 by scvpacnw.